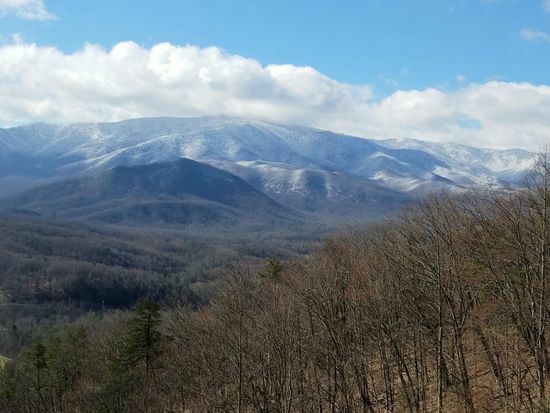 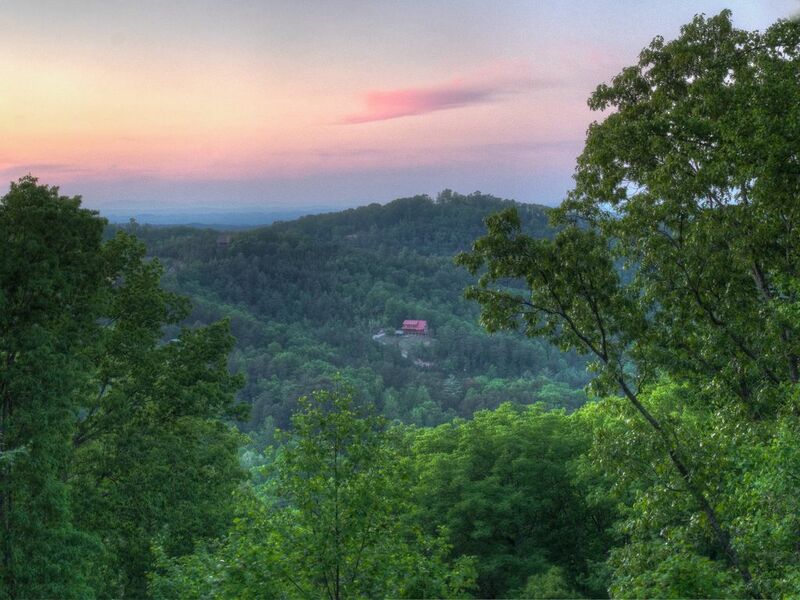 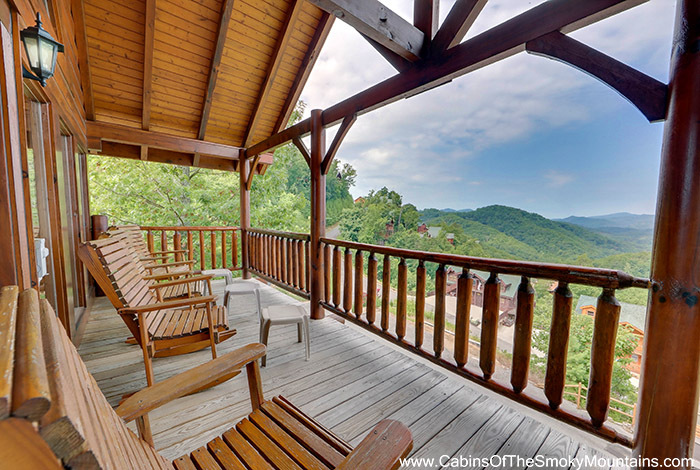 Our one-bedroom cabins make for a perfect Smoky Mountain getaway for a couple or a small family. 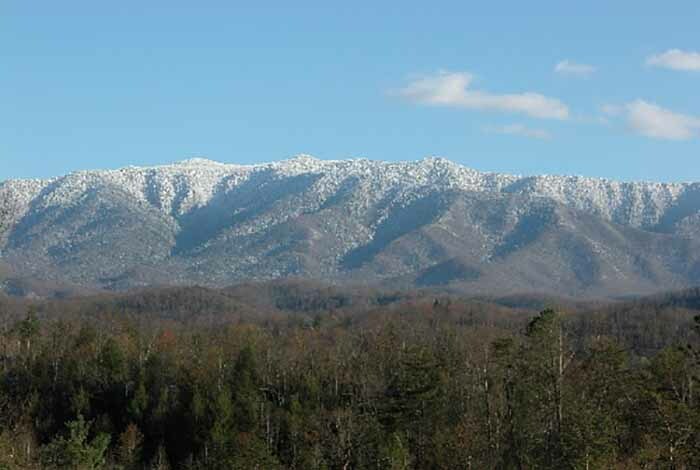 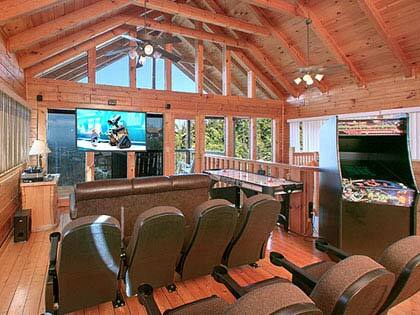 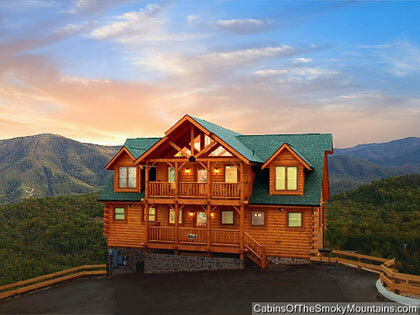 And we have over 120 1-bedroom cabins near Gatlinburg and Pigeon Forge. 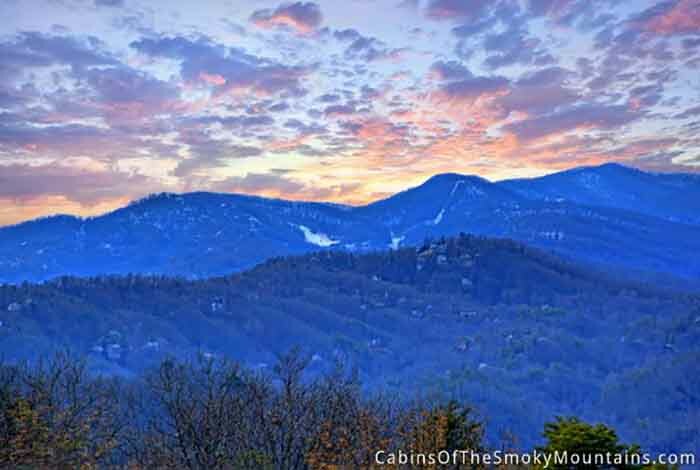 That's more than anyone else in the Smokies. 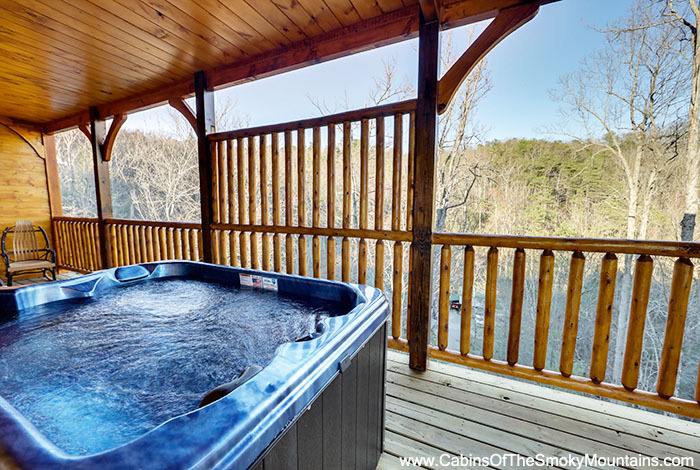 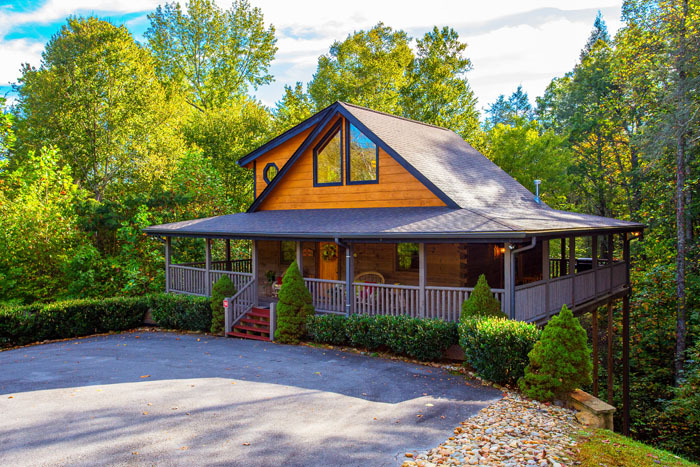 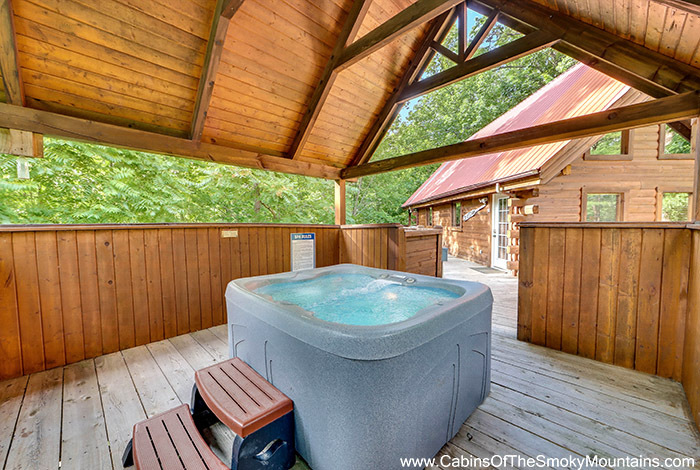 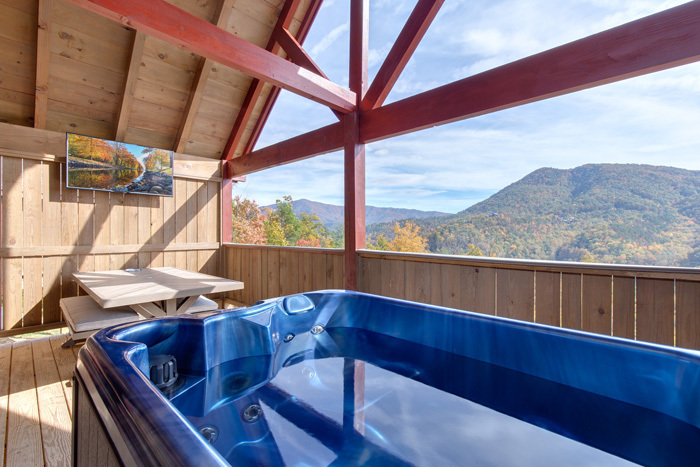 Couples appreciate the privacy of a 1-bedroom cabin, as well as features like the 2-person Jacuzzis found in many cabins, a fireplace or two to snuggle in front of, sometimes a swing on the deck, and rocking chairs next to the hot tub, all to laze in and gaze at the Smokies. 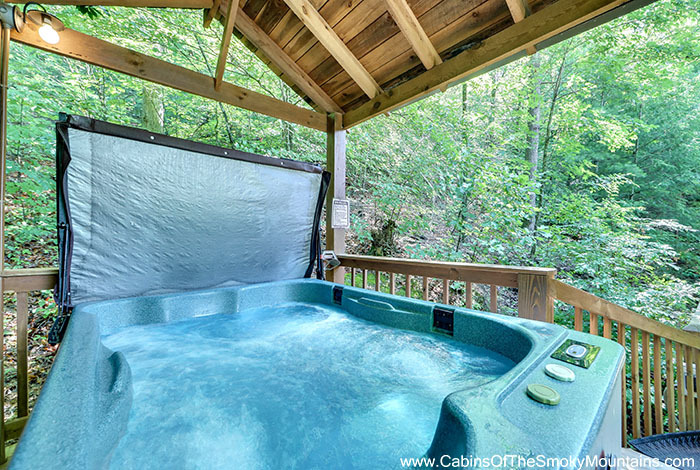 But don't think a 1-bedroom cabin is just for couples. 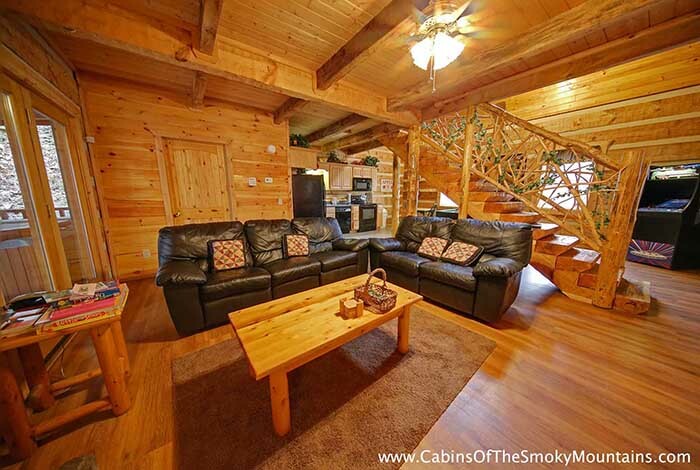 With sleeper sofas and lofts, some of our 1-bedroom cabins can sleep up to 10 people in comfort. 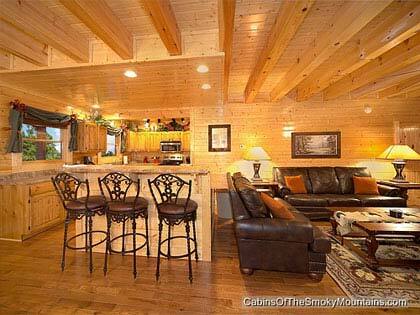 Many of these cabins are 2 or more stories high, with 2 full bathrooms, one on each floor. 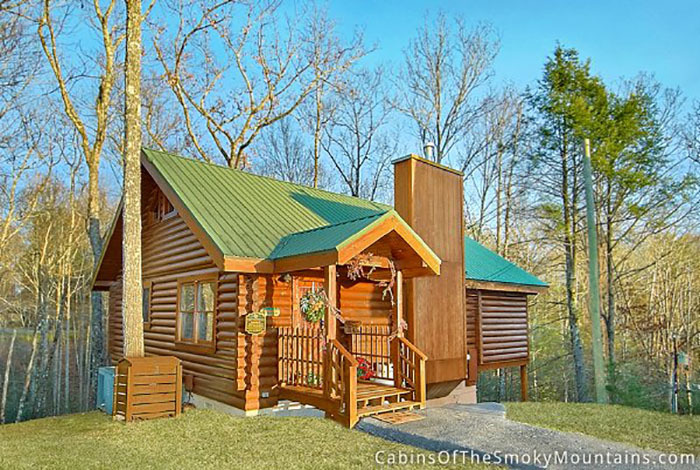 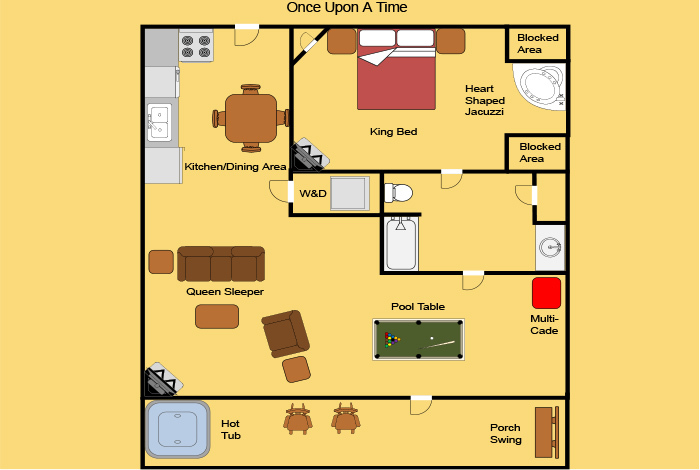 With a master king bedroom and bathroom, and perhaps a loft setting with a queen sleeper, a family can easily share a 1-bedroom cabin. 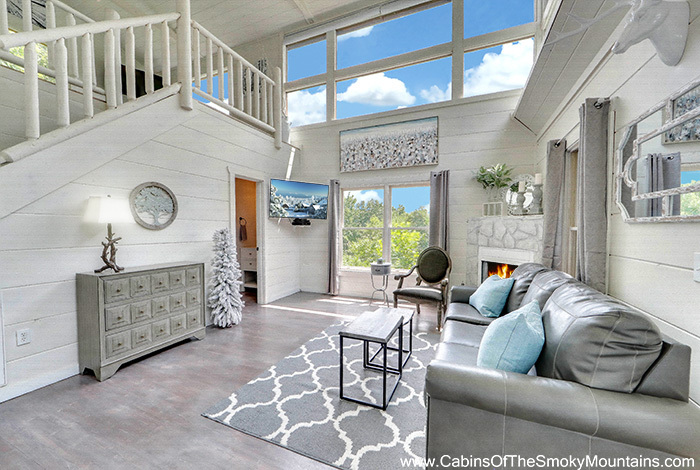 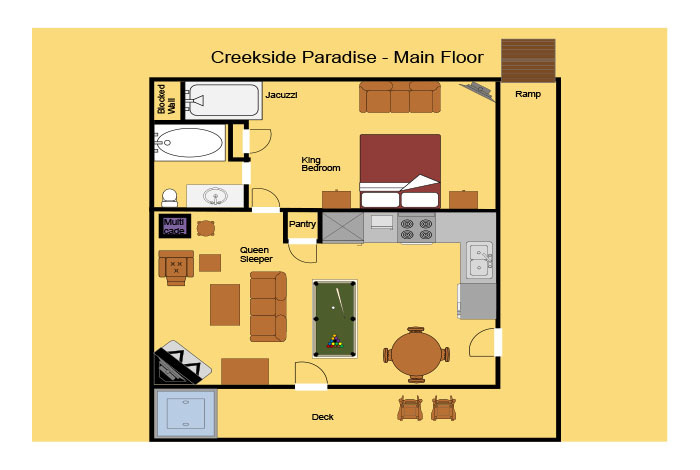 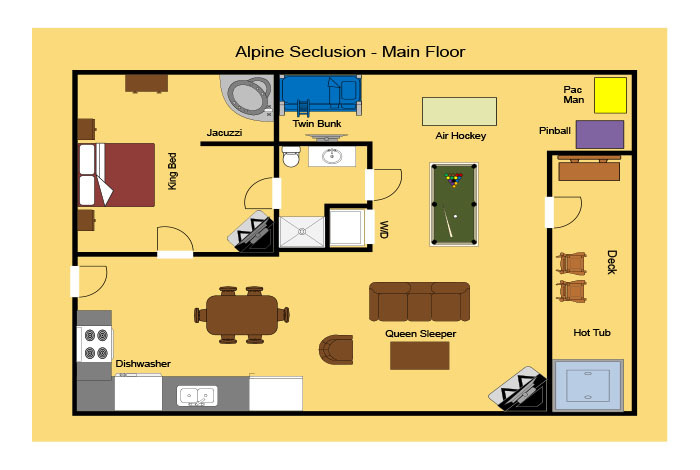 Check each cabin's photo gallery for a floor plan. 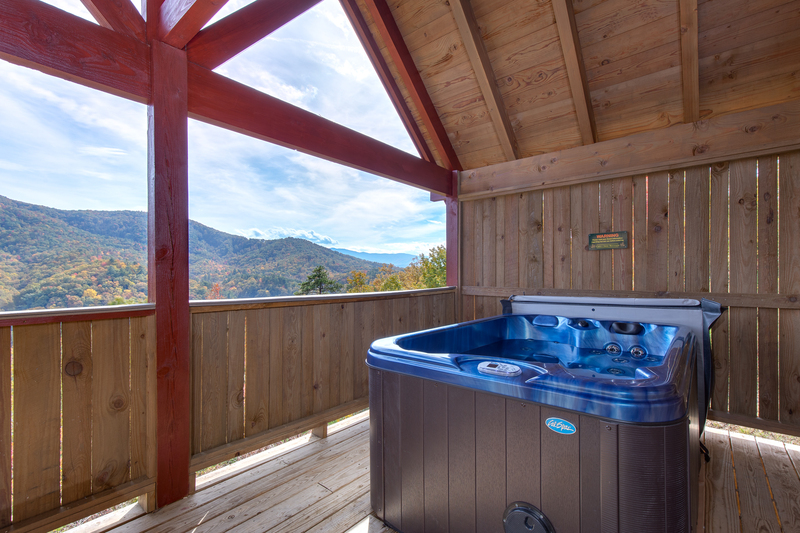 And all of our cabins have full kitchens, washer/dryers, Wi-Fi and first-class amenities. 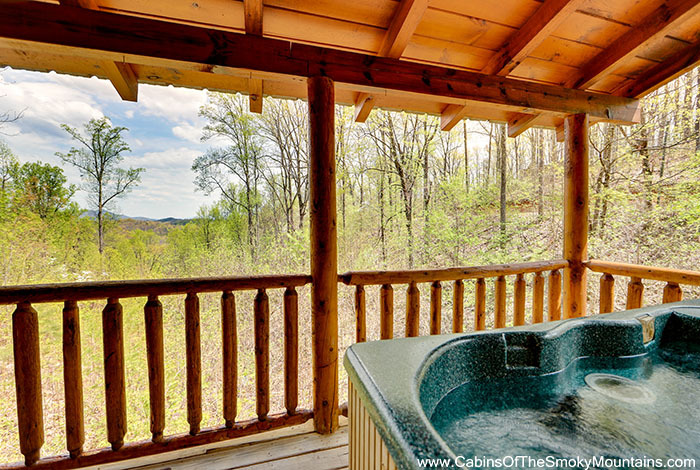 Each of our cabin pages has a full list of features, so you know exactly what you're getting.